The Michigan Humane Society’s veterinary clinics are led by teams of highly-skilled, compassionate medical professionals who truly care about your pet’s health. 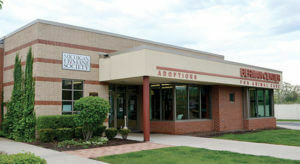 Make an appointment with our veterinary center in Westland today! Tuesday: 8:30 a.m. – 8:00 p.m.
Friday: 8:30 a.m. – 8:00 p.m.